Lightweight and compact waterproofing for days when weather can be unpredictable. 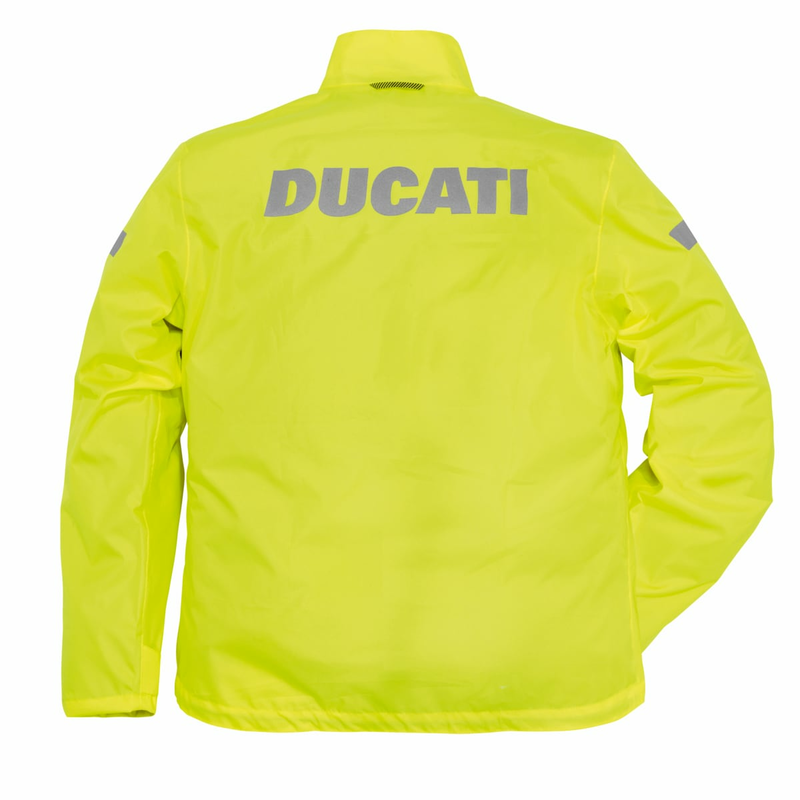 Sized to go over standard riding gear, should be purchased in the same size as the riding jacket. 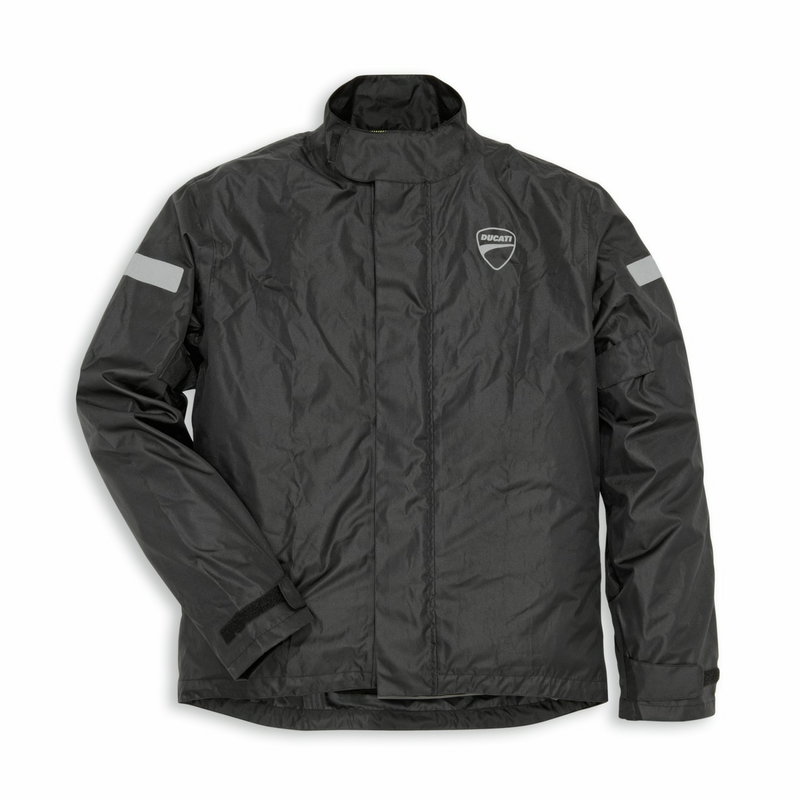 100% waterproof, the Strada 2 jacket features a non stick PVC liner that prevents it sticking to the riding jacket in even the most humid conditions as well as cinch waist cord, taped seams, front rain gutter and 3M reflective panels. Comes complete with matching stuff pouch for easy packing. 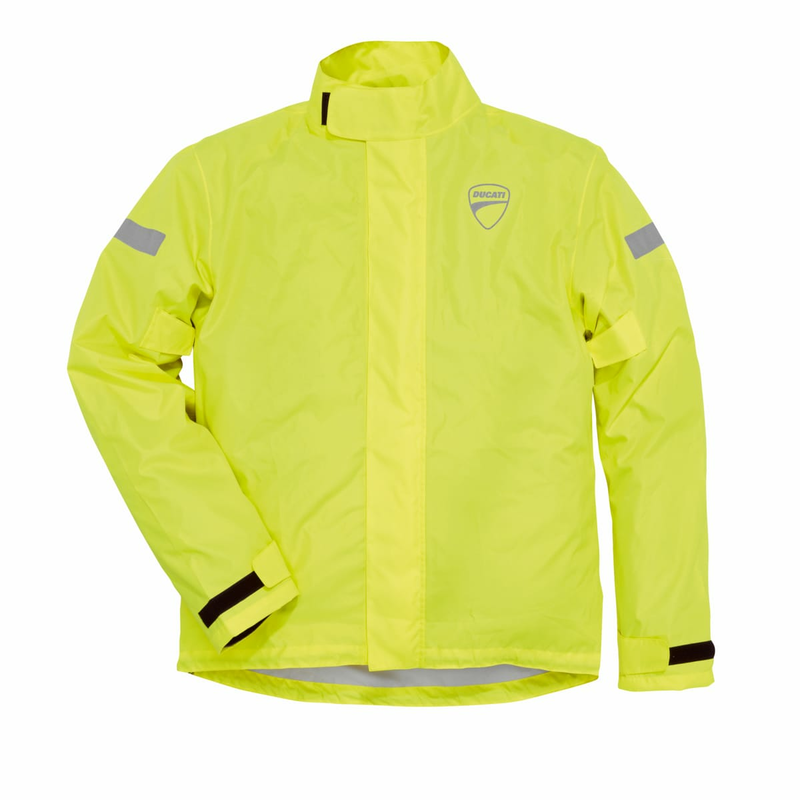 Available in high visibility black or yellow color version, matches with Strada 2 Rain trousers.